China is planning a robot moon station, that can conduct bigger, more complicated research and experiments, according to space officials who announced the plan at an international symposium in Shanghai at the end of November. The station could slash the costs of returning rock samples to Earth, Jiao Weixin, a Peking University space science professor, told the Global Times on Tuesday. "A sustainable station would enhance lunar geography studies and "have better energy efficiency than lunar rovers as the station can deploy a much bigger solar power-generator." China plans to land the Chang'e-4 lunar probe on the dark side of the moon in 2018, the report said. The Chang'e 4 mission is planned for sometime before 2020, Zou Yongliao from the Chinese Academy of Sciences' moon exploration department told state broadcaster CCTV in an interview broadcast. Zou said the mission's objective would be to study geological conditions on the moon's far side. That could eventually lead to the placement of a radio telescope for use by astronomers, something that would help "fill a void" in man's knowledge of the universe, Zou said. Radio transmissions from Earth are unable to reach the moon's far side, making it an excellent location for sensitive instruments. 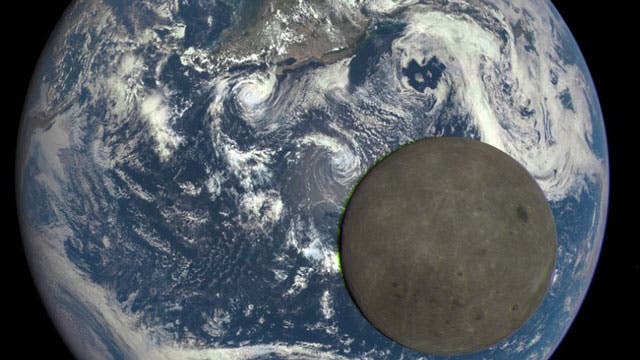 The moon's far hemisphere is never directly visible from Earth and while it has been photographed, with the first images appearing in 1959, it has never been explored. A pioneering radio telescope on the moons virgin far side, will give it an unobstructed window on the cosmos that was confirmed June, 2016 when an agreement was announced between the Netherlands and China, that a Dutch-built radio antenna will travel to the Moon aboard the Chinese Chang’e 4 satellite and usher in a new era of radio astronomy allowing for the study of objects that might otherwise be invisible or hidden in other parts of the electromagnetic spectrum. A relay orbiter will launch in 2018 for the Moon-Earth L2 point and a lander and rover will follow six months later. To the surprise of geologists in the international lunar science community, the package does not seem to include an instrument dedicated to studying the elemental chemistry of those never-before-sampled farside rocks. The Apollo basin, the mission's most likely target, is a large, flat double-ring impact basin on the lunar farside. A huge dark area covering much of the southern hemisphere is the south pole-Aitken basin. New scientific payload instruments will include "a Lunar Dust Analyser (LDA) for lunar dust physical characteristics measurements, an Electric Field Analyser (EFA) to measure magnitude of electric field at different elevations, a Plasma and Magnetic Field Observation Package (PMFOP), a Lunar Seismometer (LS) for lunar internal structure and impact investigations, [and] a VLF Radio Interferometer (VRI) for radio astronomical observation." There will also be a neutron dosimeter to take measurements relevant to future human exploration, to be contributed by Germany for the lander. According to the Kiel University press release, the dosimeter is a thermal neutron spectrometer and therefore could measure water content of the regolith beneath the lander. The rover will carry three of the four Yutu instruments, including panoramic camera, ground-penetrating radar, and an infrared spectrometer. It will, however, not carry an alpha-particle X-ray spectrometer. New instruments include "an Active Source Hammer (ASH) for active source seismic experiments, and a second VLF Radio Receiver (VRR)." There will also be an energetic neutral atom analyzer, to be contributed by Sweden for the rover. Lunar geologists worldwide have been pushing for a landing on the lunar farside — and, even better, sample return — for a long time. Much of the farside is covered by a feature called the South Pole-Aitken Basin. It is an enormous impact basin, stretching between the south pole and Aitken crater, that is the oldest discernible feature on the Moon and among the largest impact basins in the whole solar system. Analysis of data from orbital missions suggests that its rocks are unique and have likely not been sampled by any previous lunar landing. The rocks may have a unique composition because they have sampled lunar mantle, or because they represent the composition of what would have been an enormous sheet of impact melt, or some other reason. Chang'e 4's robust science package has more of a physics focus than a geochemistry focus. It may have a seismology station with a mobile roving hammer, and ground-penetrating radar to look at the subsurface, and several instruments focused on the farside space environment, taking advantage of the bulk of the Moon to shield its sensitive radio instruments from radio frequency interference from Earth. Hopefully Chang'e 4 can set a precedent for farside lunar landings. Beijing sees its military-run, multi-billion-dollar space program as a marker of its rising global stature and mounting technical expertise, as well as evidence of the ruling Communist Party's success in transforming the once poverty-stricken nation. But for the most part it has so far replicated activities that the US and Soviet Union pioneered decades ago. "The implementation of the Chang’e-4 mission has helped our country make the leap from following to leading in the field of lunar exploration," Liu added. In 2013, China landed a rover dubbed Yutu on the moon and the following year an unmanned probe completed its first return mission to the earth's only natural satellite. Beijing has plans for a permanent orbiting station by 2020 and eventually to send a human to the moon. Space flight is "an important manifestation of overall national strength", Xinhua cited science official Qian Yan as saying, adding that every success had "greatly stimulated the public’s… pride in the achievements of the motherland’s development."